Star Wars, Monty Python, Fantastic Four, X-Men, Ghostbusters, Justice League, Batman, Pretty In Pink, Ferris Bueller, Princess Bride, Goonies... even the Golden Girls. These 8-bit cross-stitching patterns are all awesome and incredibly charming. Just perfect nostalgia pixels. I want to make a blanket with all of them. 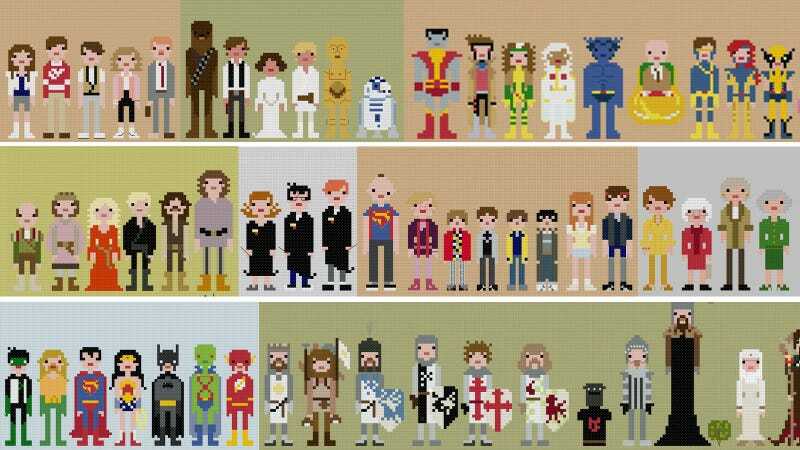 Prices vary from $12 for big patterns, like Monty Python and the Holy Grail, to the $9 of the smallest ones. You can download the PDFs straight away and start stitching.